The Smithsonian’s Anacostia Community Museum will present its signature 50th anniversary exhibition, “A Right to the City,” Saturday, April 21, through April 20, 2020. In a moment of rapid population growth and mounting tensions over development, “A Right to the City” explores the history of neighborhood change and civic engagement in the nation’s capital by looking at the dynamic histories of six Washington, D.C., neighborhoods: Adams Morgan, Anacostia, Brookland, Chinatown, Shaw and Southwest. The exhibition tells the story of these communities through the eyes of the Washingtonians who have helped shape these neighborhoods in extraordinary ways. They have used their collective community power to fight for quality public education, healthy and green urban spaces, equitable development and transportation, and a truly democratic approach to city planning. 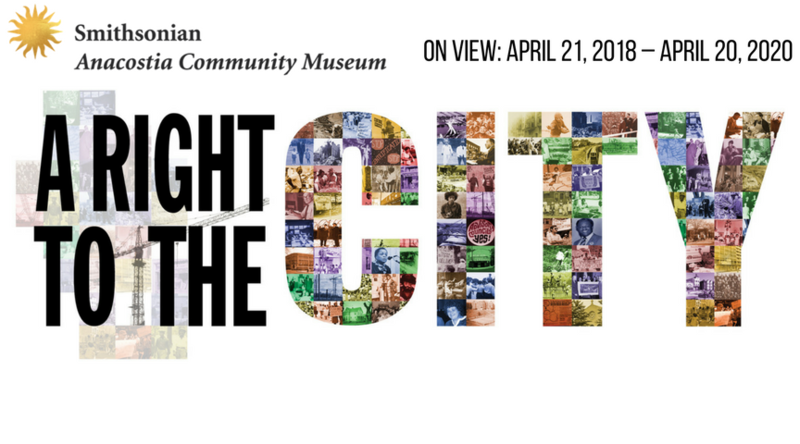 In “A Right to the City,” visitors will discover how the history of organizing by Washingtonians has, more than once, transformed this one-of-a-kind global city, often in the face of tremendous odds. The exhibition features artifacts, photographs and important oral histories to help visitors understand the historical context and transformations of the six Washington neighborhoods. Unsung local leaders like Marie Nahikian, Bishop Marie Reed, Sam Abbott, Topper Carew, Walter Pierce, Etta Horn and Garry Garber are highlighted. A storytelling “telephone hotline,” made possible by a collaboration with Benjamin Stokes of American University, allows visitors to call in, both on and offsite, and hear excerpts from some of the nearly 200 oral-history interviews recorded as part of the research for the exhibition. 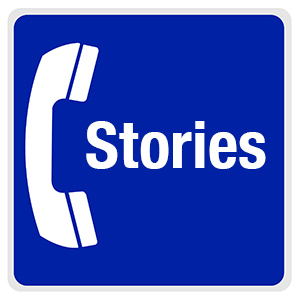 The hotline will also allow callers to record and share their own neighborhood stories. It will accept calls from anywhere at anytime and will launch in conjunction with the opening of the exhibition. “A Right to the City” is part of the Anacostia Community Museum’s 50th anniversary celebration, which has been an opportunity for the museum to renew its mission and focus and become a cultural center that convenes conversations about contemporary community life. These conversations address topics of importance to local communities in the Washington area—and the rest of the nation—broaching city politics, neighborhood change, urban ecology, religion and immigration. The exhibition was made possible with support from the DC Commission on the Arts and Humanities, which receives support from the National Endowment for the Arts, and from the Historic Preservation Fund, administered by the National Park Service, Department of the Interior. In addition, this exhibition received federal support from the Asian Pacific American Initiatives Pool, administered by the Smithsonian Asian Pacific American Center. Additional support was provided by the Smithsonian Women’s Committee. The Anacostia Community Museum was founded in 1967 as an initiative to bring national culture into a local, inner-city environment. Under John Kinard, the museum’s founding director, its mission changed, and it became a place for people in an urban neighborhood to voice their concerns about city life and examine their roles in society. The museum served as a safe space for encouraging local forms of cultural expression. Today, the museum explores social issues affecting diverse populations of the Washington, D.C., metropolitan area to promote mutual understanding and strengthen community bonds. The museum’s work focuses on the arts, environment, community history and urban studies, and researching, interpreting and sharing the stories of diverse communities.